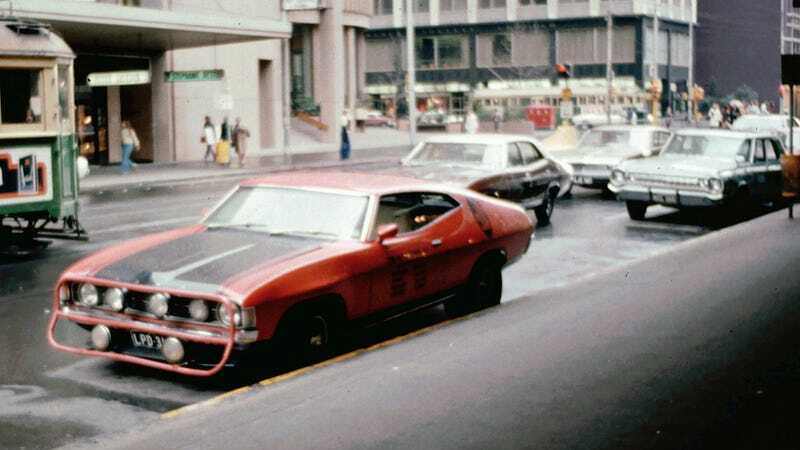 If you look at this Ford XA Falcon and think "Oh my god, that's the most badass thing I've ever seen," I don't blame you. Eight headlamps, full protection against loose kangaroos, a V8. It's the full package. Please feel free to annotate your favorite detail. So, it's a V8 then.